Save up to $100 per couple at select resorts! Travel to Jamaica and let the vibe of the Caribbean take you on an adventure like no other! This beautiful destination, complete with amazing things to see and do, offers everything you could ever want in a vacation. From excursions to events and everything in between, this is one exciting island getaway you don't want to miss out on! Enhance your experience with a stay at the luxurious Zoëtry Montego Bay Jamaica, revel in opulent spas, and savor your perfect day in paradise. Then, wake up and do it all over again! In Jamaica, there's nothing like the smooth sound of reggae, cool ocean waves, and warm Caribbean sun to melt away your troubles. Adding a tour or excursion to your vacation is a great way to learn while having fun - all while experiencing something new and exciting. An Apple Vacations Resort Representative** from Amstar will help you pick the best tour or excursion for your needs. After all, they've been assisting travelers for over twenty-five years! So, get ready to swim with dolphins, zip-line through the trees, discover Dunns River Falls, and more. You'll love exploring all that this breathtaking destination has to offer! Jamaica is bursting with excitement and adventure, so go ahead and start planning your perfect day! Whether you choose to lay on the beach until the sun begins to set, venture off on a thrilling excursion, or unleash your inner foodie by sampling a variety of delicious cuisine, you'll never have a shortage of fun things to see and do in this tropical oasis. 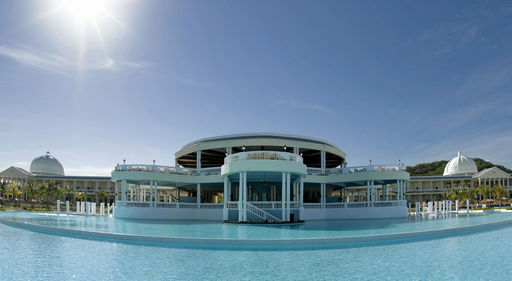 Travel to Montego Bay and set sail on a day cruise or visit the famed Hip Strip. Walk along Seven Mile Beach in Negril and feel the warm sand beneath your feet or head into town and listen as live reggae music fills the air. If your perfect day involves a romantic getaway with your loved one, the 700-foot waterfalls of Dunn's River Falls in Ocho Rios are sure to rekindle that flame! 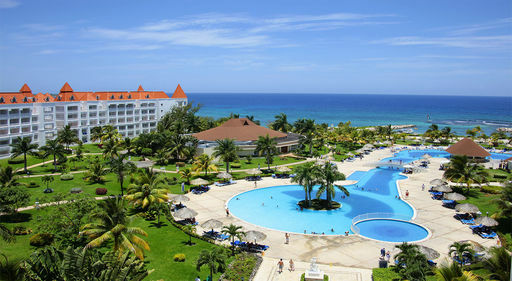 Montego Bay - Features land and watersports, theme nights, a nightclub, and supervised activities for children! Based on double occupancy, includes gov't taxes & fees. Price is per person from Milwaukee on Exclusive Nonstop Vacation Flights via Miami Air (operated by TUI Airlines Belgium N.V.). Travel (SA) Jan 12-26, 2019. Price will vary for other departure cities. Runaway Bay - Junior Suite! Enjoy gorgeous beaches, relax in the spa, swim in lake-style pools, and so much more! Based on double occupancy, includes gov't taxes & fees. Price is per person from Detroit on Delta Air Lines. Travel (SU) Jan 13-27, 2019. Price will vary for other departure cities. 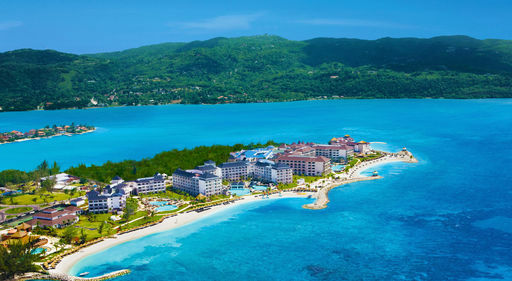 Montego Bay - Includes $150 in resort credits per room! Enjoy nature walks, mixology classes, and more! Based on double occupancy, includes gov't taxes & fees. Price is per person from Baltimore on Spirit Airlines. Travel (MO) Jan 7-21, 2019. Price will vary for other departure cities. 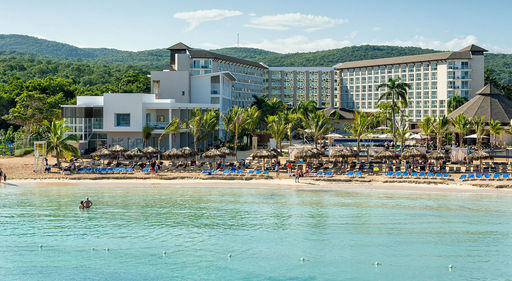 Montego Bay - Adults-Only (18+)! Junior Suite! Sip, Savor & See! Non-stop transfers included - an Apple Leisure Group Exclusive! Includes $200 in resort coupons per room! Based on double occupancy, includes gov't taxes & fees. Price is per person from Philadelphia on Exclusive Nonstop Vacation Flights via Frontier Airlines. Travel (TH) Feb 21-Mar 21, 2019. Price will vary for other departure cities. Lucea - Junior Suite! 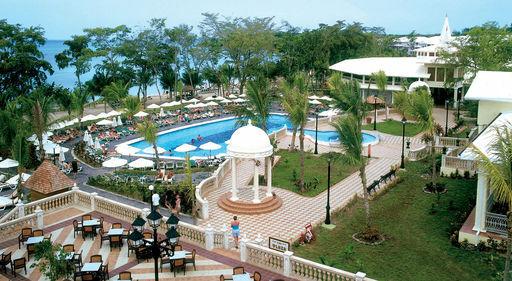 Includes exchange privileges with Grand Palladium Lady Hamilton Resort & Spa! Based on double occupancy, includes gov't taxes & fees. Price is per person from Minneapolis on Exclusive Nonstop Vacation Flights via Sun Country Airlines. Travel (MO/TU) Feb 11, 25, 26, 2019. Price will vary for other departure cities. Negril - Includes $460 in resort credits per room for 4-6 nights or $590 in resort credits per room for 7 nights or more (restrictions apply)! Book by January 13, 2019! Based on double occupancy, includes gov't taxes & fees. Price is per person from Lansing on Exclusive Nonstop Vacation Flights via Miami Air (operated by TUI Airlines Belgium N.V.). Travel (FR) Jan 25, Mar 15, 2019. Price will vary for other departure cities.